For a limited time you can get this Official BJJ Revolution team gi for $130. 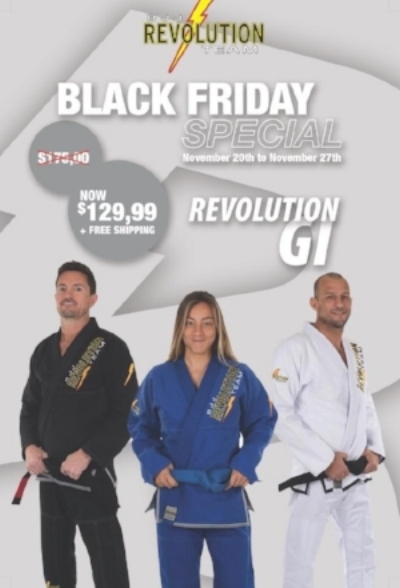 Retail price for the Revolution gi is $175. Contact Professor Ben if you are interested in Pre-ordering yours.